This delicious chocolate pudding is so good that you would never know it was healthy. It is packed full of protein and would make the ideal dessert if you want to keep it light after a heavy main meal. You can even add some other flavours like orange or ginger. 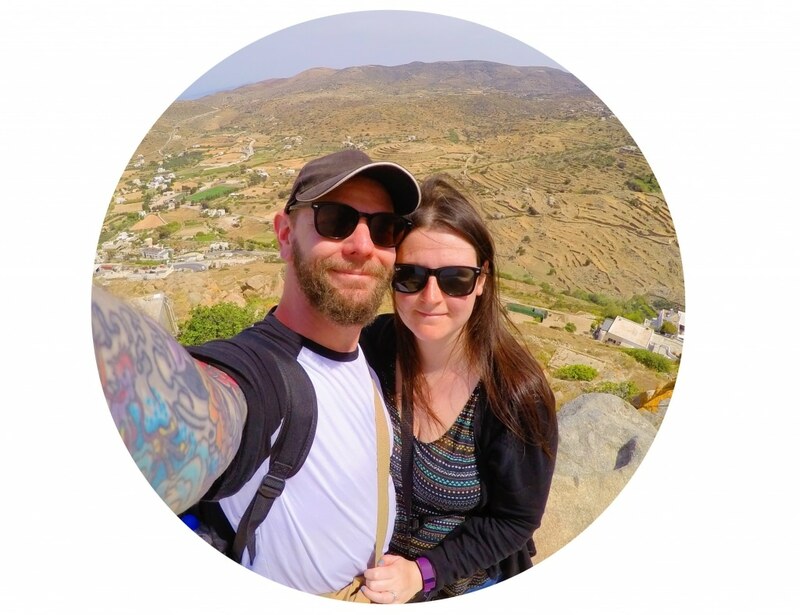 I am sure I have written this a few times here on the blog, but this is one of the best things I have ever made. A healthy chocolate pudding and there is no banana or avocado in it, which I know has put some of you off other healthy desserts in the past. You would never know that this wasn’t made with cream or a ton of butter. I currently have another 2 portions of this in my fridge and I want to eat them all. Now. But I won’t. I had something similar to this in a health food cafe a while back and I have not been able to stop thinking about it since then and I decided to make my own version. What makes this healthy chocolate pudding so special is that it uses chia seeds. Don’t look away now if you don’t know what they are, or you think they are a “strange” ingredient, because they really aren’t. It is a seed that actually comes from the mint family, although it doesn’t taste like mint, and has a kind of nutty taste. The great thing about them is that although they look like tiny seeds, when you add liquid to them and leave them for a few hours, they get much, much bigger, making them the perfect ingredient for a healthy dessert. I really do recommend trying them. You can buy them in health shops, or online (which is usually cheaper), but many supermarkets are starting to sell them too. Here are some reasons why chia seeds are good for you. This healthy and vegan Chocolate Chia Pudding only has 5 ingredients and is so simple to make. It's such and easy recipe! Mix all the ingredients together in a bowl and put in the fridge for at least 5 hours (overnight is better). Pour the mixture in to a blender and blend until smooth. You can skip this step if you like, but I like the smoother pudding. Would you like to see more healthy dessert recipes on the blog? Leave a comment below. Want some more healthier dessert recipes? This pudding looks great, Dannii! Perfect for any chocoholic. It’ll help those cravings subside! I love chia pudding but usually have it for breakfast. I like adding a scoop of chocolate protein powder to it as well, yum! I am liking the idea of chocolate for breakfast! 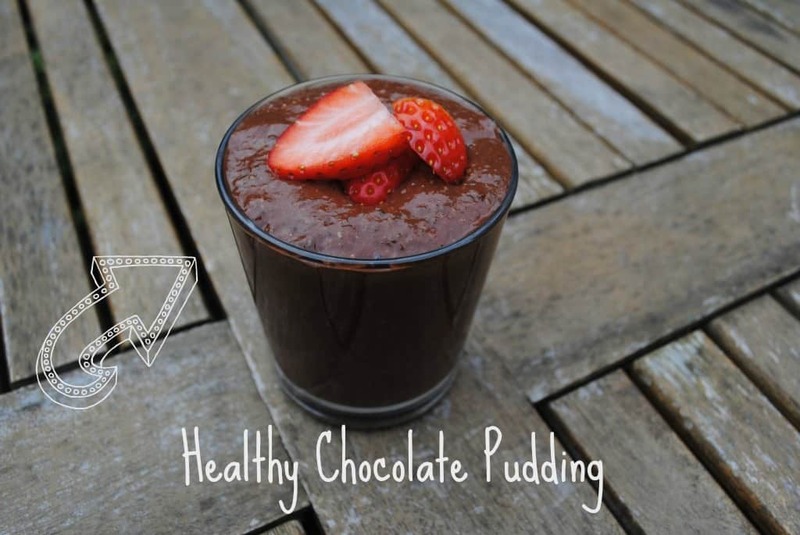 You had me at healthy chocolate pudding, Dannii! Love this creative recipe! I wouldn’t never thought to use chia seeds as a pudding. Sounds delicious and so healthy. Pinning this one! Looks really tasty. I love chia seeds. I add a teaspoon to my porridge every morning to help make my porridge the perfect stodgy consistency and squeeze in some extra protein and goodness. It’s all about the extra protein! 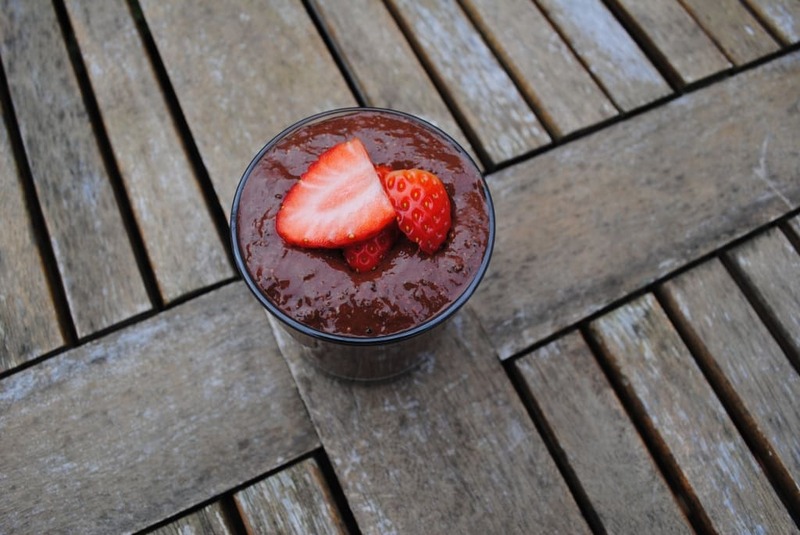 What a genius idea to use chia seeds to make chocolate pudding! I’m totally going to have to make this soon!! I love the idea of making this pudding, it satisfies my chocolate sweet tooth and incorporates those chia seeds. This is really great. And it’s not complicated! Thanks Dannii!!! It’s so simple and can be made ahead of time too. I’ve never made chia pudding, but I trust you if you say it is good. Oooh, make it. It’s so good! This sounds lovely Dannii and looks super thick and creamy! 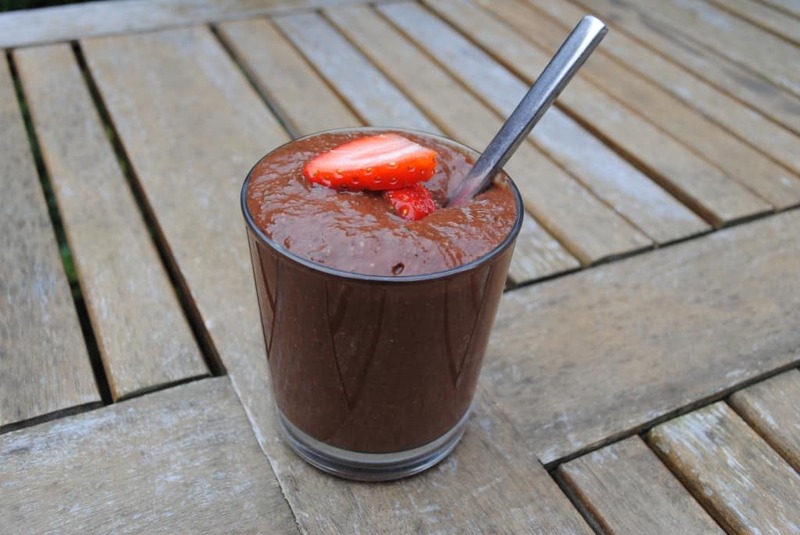 A lovely alternative to an avocado chocolate pudding if you hate avocados. Blending it after! Genius! I haven’t wanted to try the chia seed pudding thing because the texture doesn’t look appealing to me, but it never occurred to me to blend it so it’s smooth like pudding! Definitely trying this Dannii! How long would this keep in the fridge? A week? A few days? I would say a couple of days. Thanx for the great recipe, Dannii! I especially appreciate this one as I am in third trimester of my pregnancy, really love chocolate pudding, but also trying to restrict extreme weight gain. I can literally eat a 100g chocolate bar every single day. I am trying to replace some of these unhealthy cravings, so guess I am going to need to stock pile on chia seeds! Awwww sounds amazing. Do you know what the calories would be if I used unsweetened soya milk instead? I love chia jam. I just love chia seeds in general. Just regular unsweetened. It works well with maple syrup, honey or agave. Or even a date syrup. Defined going to try for me & my girls!! I use chia in my smoothies but am always looking for something else to put them in!! Thanks!! Let me know if they like it. I am always interested to hear if my recipes go down well with kids too. It is pretty life changing. Enjoy! Ive never heard of chia seeds, a quick google offers up the options of whole or milled seed, which would you recommend please? Milled are what I used.